St Andrews, Scotland is best known for two things. 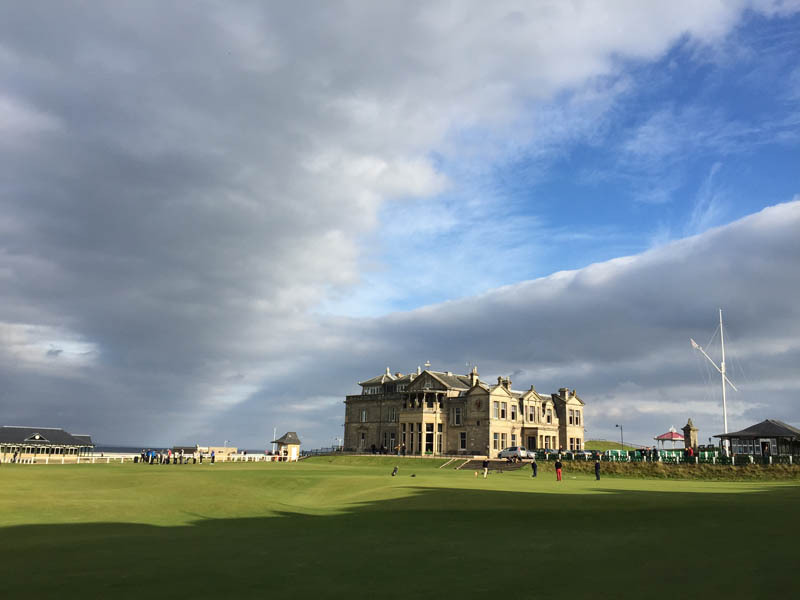 Most notably, it’s recognized as the home of golf—the aptly named Old Course at St Andrews was the first place where golf was played, and it dates back to the early 1400s. More recently, many know of St Andrews— particularly its 600-year-old University—as the place where Will and Kate studied, met, and fell in love. If you’re looking for signs of these two claims to fame in St Andrews, you’ll find them abundant. And if you picture Scotland, in general, as a place of rolling, sheep-filled hills, you’re right. But there’s so much more to this mystical area than just those things. Whether you’re a golf pro or have never touched a club, are an avid royal-family-follower or couldn’t care less, you’ll find that St Andrews is truly one of the prettiest, most enchanting places in all the world. You’ll also find, as I did, that the people are some of the friendliest and most endearing anywhere, and that the food (yes, the food!) is outstanding. Of course, you’ll also find a good deal of exceptional whisky. This is Scotland, after all. The reasons for falling in love with St Andrews are many. 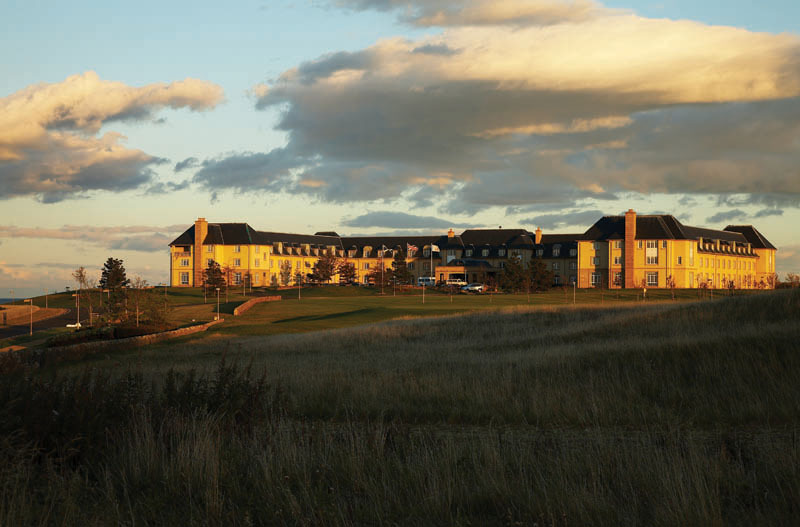 One of the biggest ones, for me, was my home-away-from-home there: the Fairmont St Andrews. From the roaring fireplace that greets you as you enter (you’ll also be greeted by doormen in traditional Scottish Tartan attire), to the oh-so-comfortable guest rooms looking out over the idyllic landscape, to the cozy spots in which to cuddle up with an excellent whisky, you simply can’t ask for more. 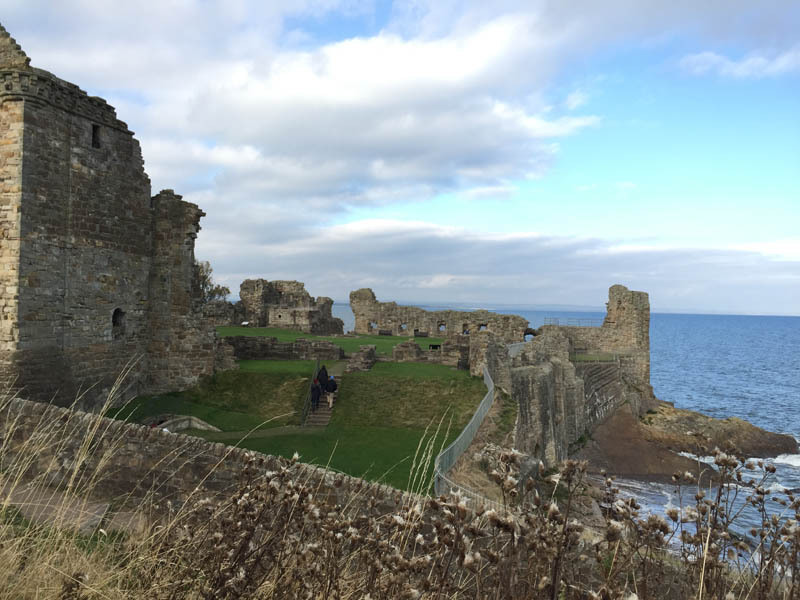 The approach to Fairmont St Andrews is dramatic—just past the quaint old town along a quiet road flanked by green fields, the hotel suddenly appears, a formidable but inviting castle surrounded by two golf courses and the dark and mysterious North Sea. Despite the fact that the hotel was built in 2001, and is currently undergoing a massive interior (though not at all intrusive) refurbishment, you can easily feel as if you’ve stepped back into medieval Scotland, and that you are a member of royalty. 520 acres belong to this regal property, with views of nearby cliffs and medieval rooftops in the distance and the smell of sea air ever present. Adding to the drama are moody, dream-like skies that always seem to look more like a painting than reality. The drama stays outside, though, because once in the hotel it’s all about coziness and comfort. All guest rooms and suites—many with sea views—are filled with five-star amenities and comfortable elegance, with just the right amount of Scottish charm. 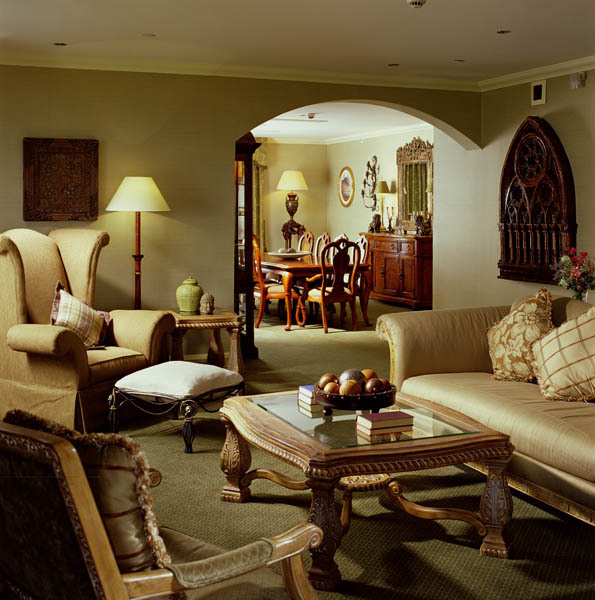 There are multiple categories of suites, all spacious with modern bathrooms and luxurious touches. While the rooms and suites currently provide all the comfort and elegance expected of a five-star hotel, once the refurbishment is complete in the spring of 2017, the suites and bathrooms will reach a new level of luxury, with added design details and floor-to-ceiling marble in the bathrooms. To sleep and live like royalty—literally—nothing compares to the hotel’s Kingdom of Fife Suite, for none other than Will and Kate have slept here. With its 1,523 square feet of open space, 10-person mahogany dining table, private terraces, Scottish lodge décor, and panoramic views of the North Sea, the golf courses, and the historic St Andrews skyline, a night in this suite can make anyone feel like a king or queen. 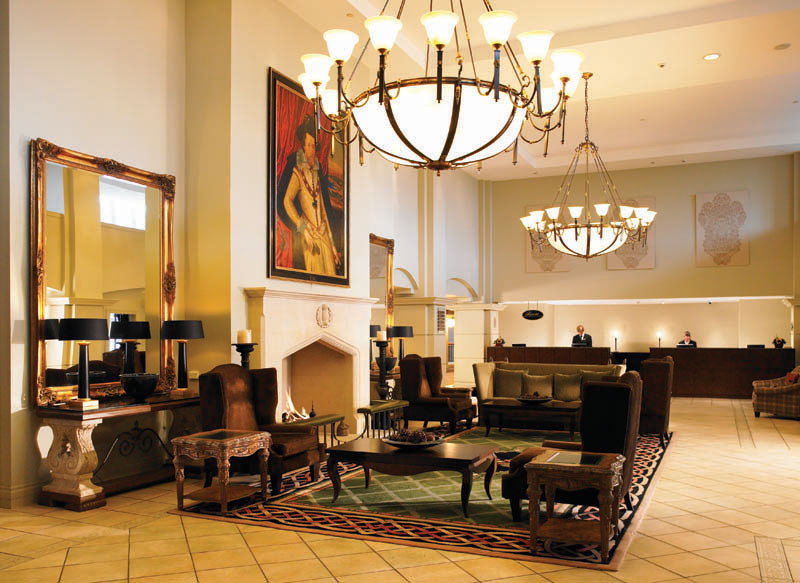 Time at the Fairmont St Andrews, however, is often spent eating, drinking, and lounging in its many public spaces. 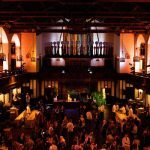 There’s the grand, glass-top Atrium, entered from the lobby down a sweeping staircase, home to an annual traditional Christmas market, a New Year’s Eve party complete with fireworks over the skylights, weddings, and all types of gatherings. 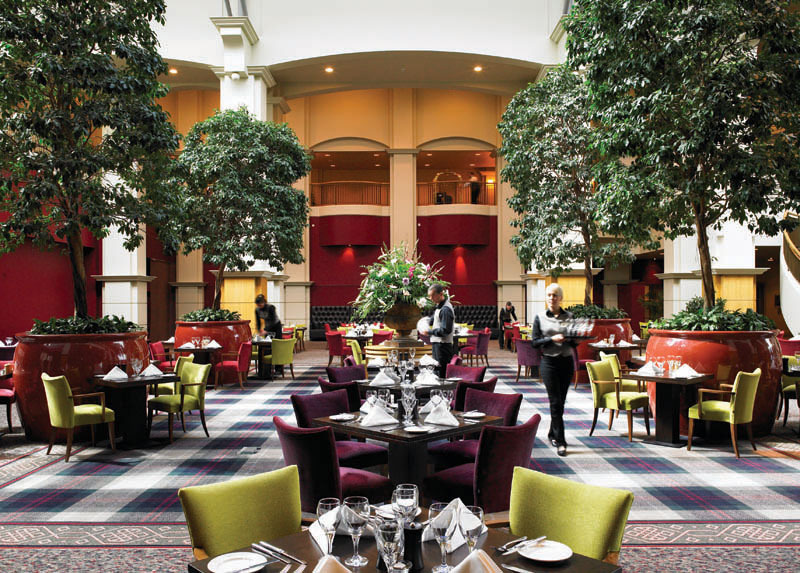 Adjacent to the Atrium is the colorful Squire restaurant, named after golf legend Gene “the Squire” Sarazen, where a delectable buffet awaits every morning—and provides the opportunity to try traditional Scottish haggis. 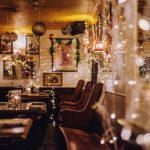 Kittocks Den—where I spent many an afternoon enjoying a whisky and some girl talk—is warm and inviting, and also offers traditional afternoon tea, comfort foods like roast tomato soup and fish and chips, and of course an extensive collection of rare and unique Single Malts. Cocktails continue at the adults-only Rock and Spindle, where you can also enjoy a game of pool or catch a football game on TV. And while you might wonder how good Italian food in Scotland can possibly be, this Italian-food-snob can assure you, it can actually be fantastic. 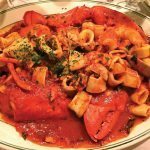 At the family-friendly La Cucina, I enjoyed an excellent Italian meal, including a dish with seafood straight from the neighboring sea. In fact, great emphasis is placed on fresh, local, seasonal foods throughout the hotel, with much coming from the onsite greenhouse. 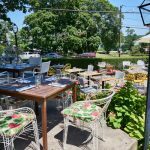 This is exemplified at St Andrews Bar & Grill, set in an almost magical location on a cliff, with both golf courses surrounding it and panoramic views of the water front and center. 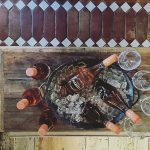 Recently refurbished and having just unveiled a new menu, dining here is an experience. Shy, baby-faced, and incredibly talented, 26-year-old chef James Hill delivers dishes that rival those at any of the world’s finest restaurants. There’s a full Seafood Bar menu—St Andrews Bay lobster, smoked salmon, langoustines, etc.—a Market menu (the Scottish fish soup is heavenly), a seafood-heavy Grill menu, and entrees ranging from herb crusted lamb loin and oven roasted pheasant breast to Peterhead Dover sole and a ricotta gnocchi that’s almost (but not quite) too pretty to eat. In short, if you make the trip to St Andrews just for the food at the Fairmont, it’s well worth it. But there is, of course, plenty more to enjoy. Family movie nights in the theater, whisky tastings at Kittocks Den (or try the Kilted Kittock beer, brewed especially for the hotel), and a full-service luxury spa are just some of the highlights. And then, of course, there’s the golf. Certainly this is the main purpose for many travelers to St Andrews (the world’s best golf and the world’s best whisky do make one heck of a bucket list trip), and the two courses at Fairmont St Andrews—The Torrance and The Kittocks—more than deliver. Thanks in large part to these courses, the hotel has been included on numerous “Best Golf Resorts” lists, and has won multiple awards. The courses are a golf-lover’s dream, but if you’re not a player, it’s worthwhile to book a lesson for the views alone. 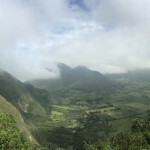 Beyond those views, though, it’s more than worth it to take a golf clinic or a lesson with Director of Golf Amy Yeates, St Andrews’ only female PGA pro. As a non-golfer, I was surprised by how much I enjoyed the clinic with Amy—which ended with a fruit smash (replacing the balls with fruit) and quite a few laughs. And for the rest of my life I’ll be able to say I played golf in St Andrews. 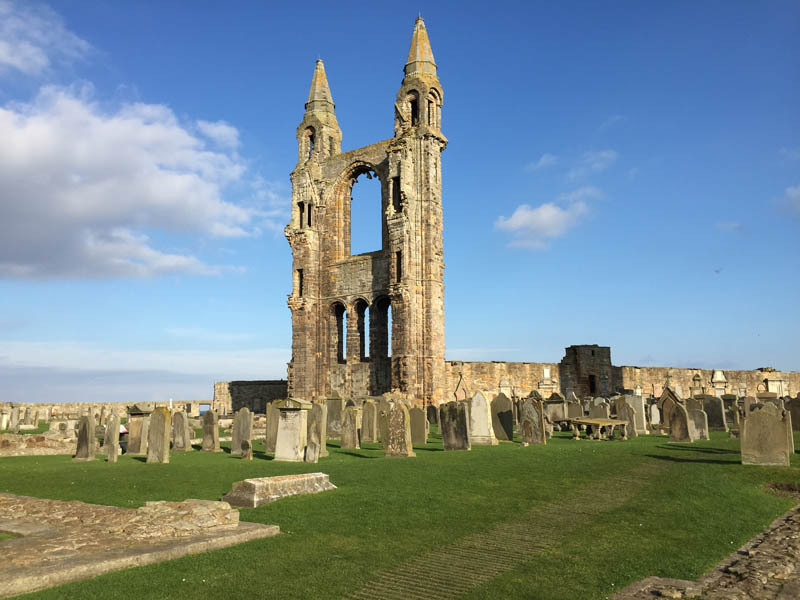 St Andrews itself has much to offer as well, and not only should you spend time exploring it, but the Fairmont team will help arrange any activities and excursions for you. You can board their free shuttle to historic old town and visit the Old Course, the Museum of Golf, the picturesque University, the ruins of St Andrews Cathedral (dating all the way back to 1187), and many more historic, fascinating sites (in fact, I had no idea how much history existed and remains in this quaint village). Or you can simply stroll along the cobblestoned town—straight out of a fairytale—and shop for cashmere, souvenirs, trinkets, and more cashmere. Finally, you simply cannot leave St Andrews without going for a whisky tasting, and now, with the recent opening of Kingsbarns Distillery, you can enjoy this just minutes from the hotel. The distillery was the lifelong dream of former golf caddie Douglas Clement, who teamed up with the Wemyss family, one of the oldest families in Scotland, to make this dream come true. In this barley-rich seaside land, they converted an historic barn and turned it into beautiful distillery in which visitors can learn, tour, and taste. Parts of it are like a veritable Willy Wonka factory for adults, and while there’s no whisky river in which to swim, there’s plenty to drink and purchase. I left the tour and tasting with a newfound appreciation for this spirit—and feeling no pain. 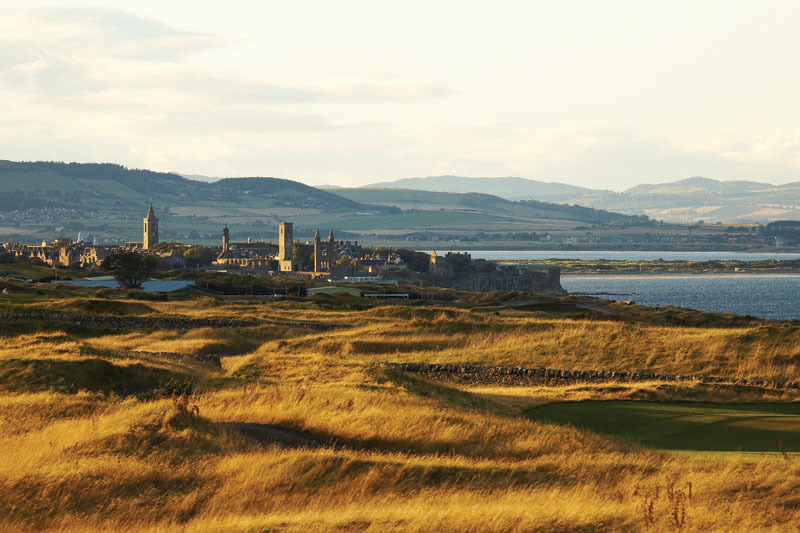 It turns out, St Andrews just might be the perfect destination for any traveler. For golfers, it is undoubtedly a dream-come-true trip. 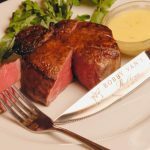 For history buffs or spa seekers, whisky lovers or major foodies, it meets and exceeds vacation expectations. Or simply if you’re someone who really, really loves a great hotel with a little bit of something for everyone, a stay at Fairmont St Andrews promises a good dose of magic and majesty on every level.